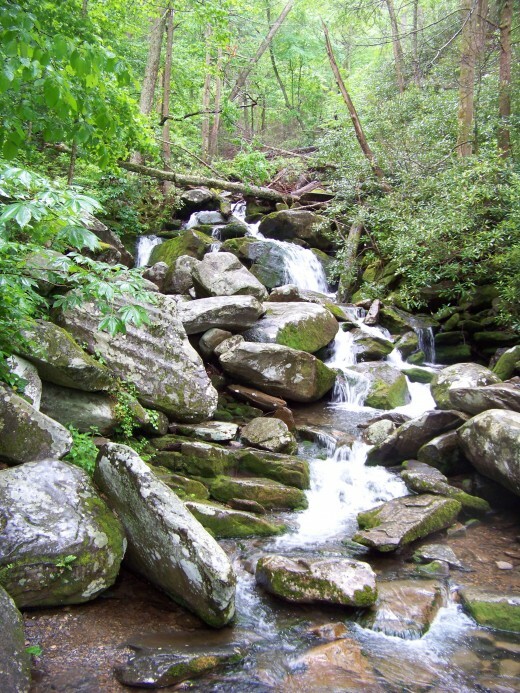 If you are looking for a bit of a challenge and for some beautiful scenery, then you will enjoy hiking to see the Rainbow Falls in the Great Smoky Mountains National Park. 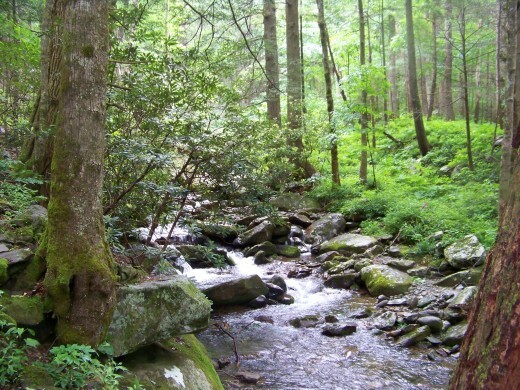 The Great Smokies has an abundance of old growth forest to meander through. When you hit the trail from the first point, you will hike 2.7 miles up and 2.7 miles down. Plan to take 3-5 hours for the entire hike. I would not recommend taking children younger than 12 unless they have experienced hiking in the hills. Because of the rocks and the elevation climb, I would say the trail is a moderate to difficult hike. 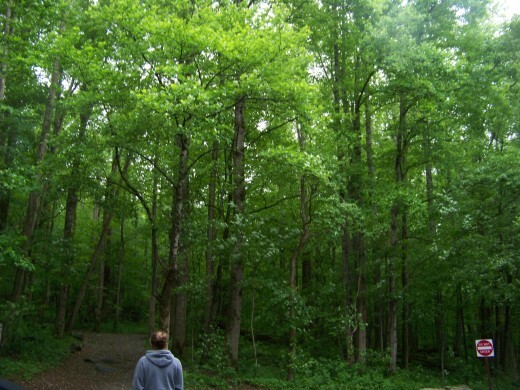 Start at Light 8 in Gatlinburg and turn on the Historic Nature Trail. Drive about a half mile and go right on Cherokee Orchard. You'll see the signs for the trail (there are two parking lots). Go early in the day to get the first one. There are bathrooms in the lot. The hiking trail combines dirt, stones, sand, tree roots, a few shallow creeks, and a few log bridges. There are quite a few stones and tree roots in the path, so you need to walk carefully most of the way. You do not want to turn your ankle or trip and fall on a mountain. Especially, if there has been rain, the rocks and/or the sand can get pretty slippery. You need shoes with good grip and please watch your step. 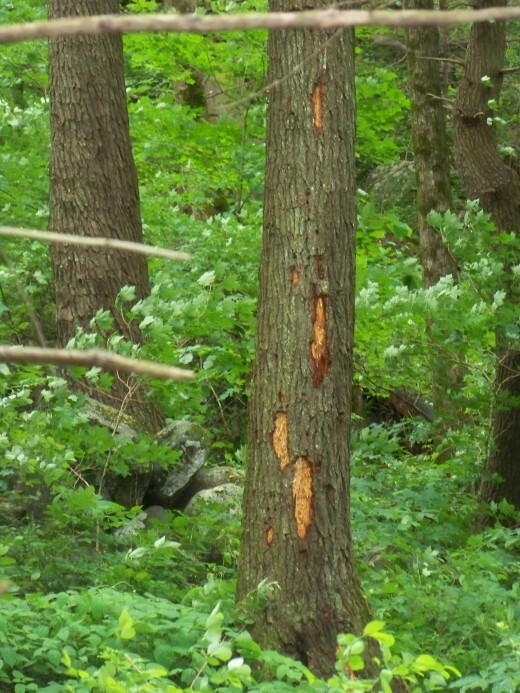 Wear a backpack with first aid, water, snack, and bear pepper spray (just in case). 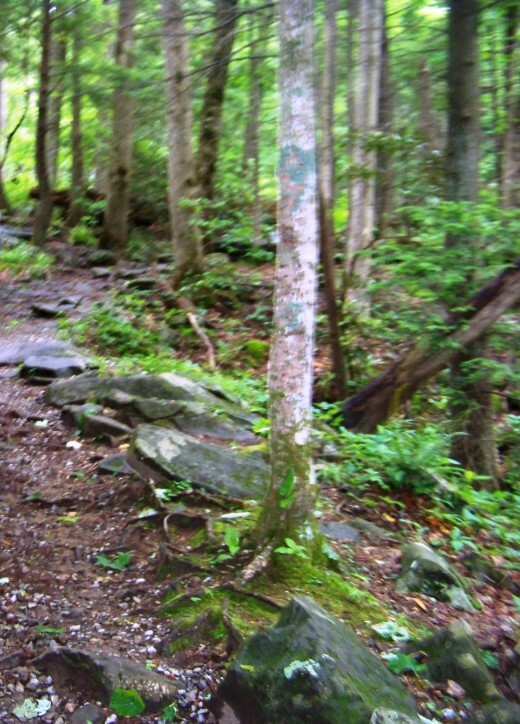 This trail is not as apt for you to see a black bear as some of the other trails in the Smokies. There is no entry fee for the National Park. 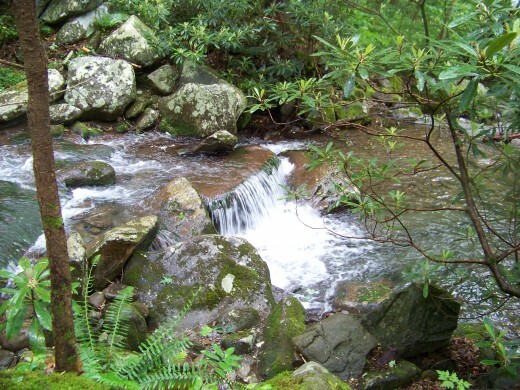 Within 15 minutes of your hike beginning, you will get the chance to see some wonderful babbling streams rushing down the hills. Take your camera along. Stop and look around. Almost every bend has a new sight to see. 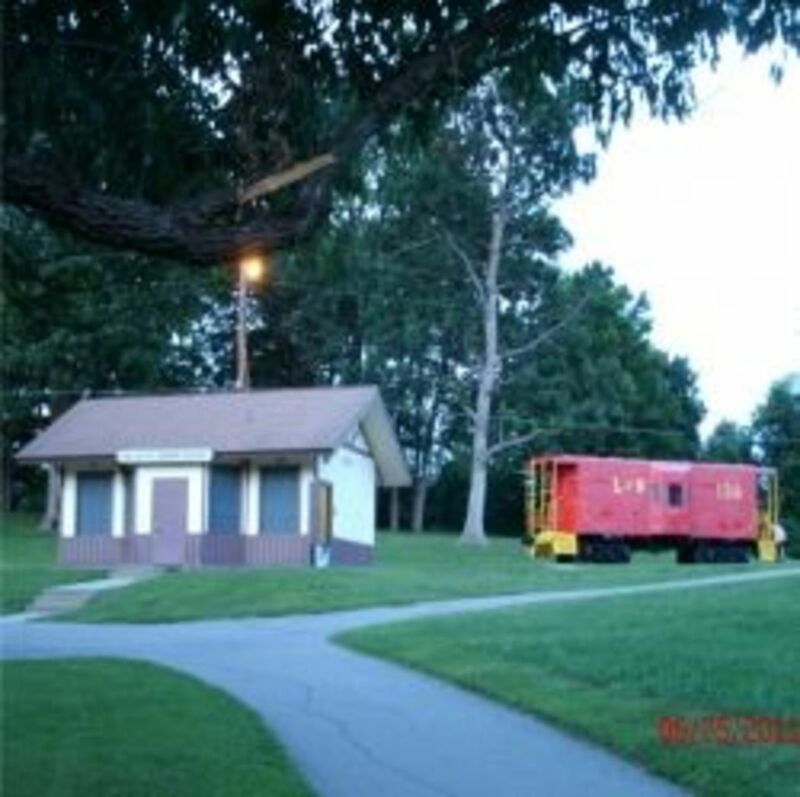 Along the way, little trails go off down to spots that would be great for stopping for a picnic. 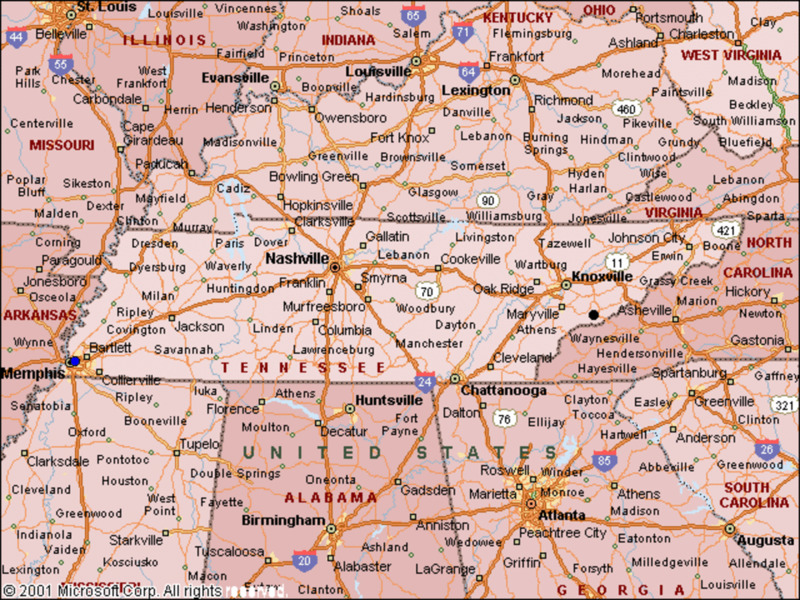 Just remember that you are in black bear country. You will see many kinds of trees and plant life. 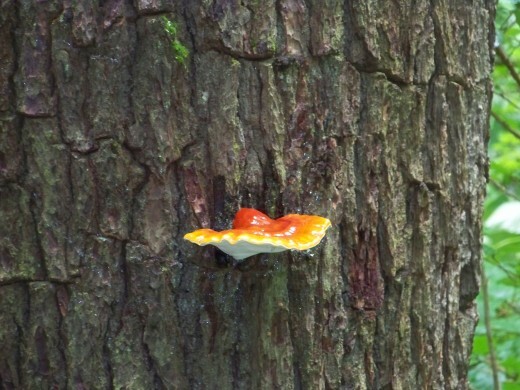 Mushrooms, moss, wildflowers, etc., cover the forest floor or surprise you here and there. Animal life or traces of it may be found. 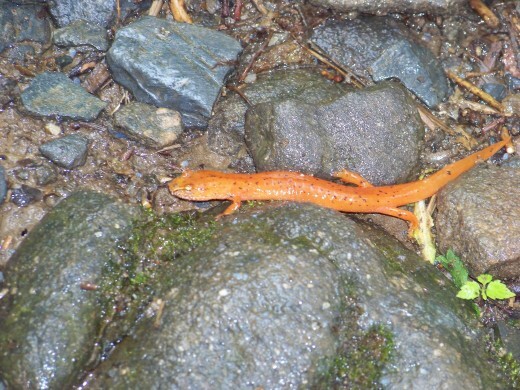 Bear, deer, chipmunks, wild turkeys, snails, and salamanders could be seen. The mountain cold water from LeConte Creek provides some photo opportunities or some peaceful reflection. Some flowing water you can touch, sometimes it's on your right, and sometimes you get to cross the streams. 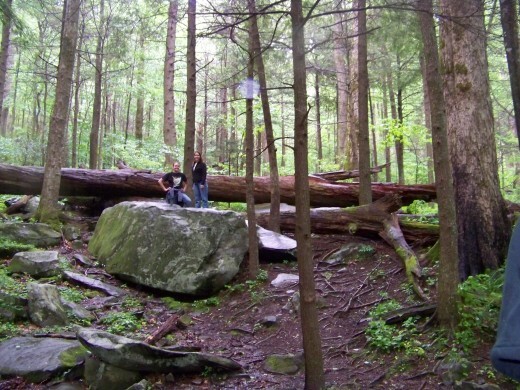 They babble or roar at you as they flow over the boulders and rocks and fallen trees. The trail is not well marked. You can tell where the trail is, but there are no signs along the way telling you how far you've gone or how far you have left to go. 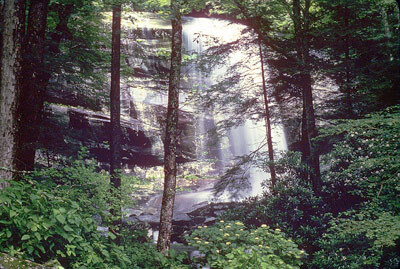 Before you get to Rainbow Falls, you will cross a smaller falls that is about 8 feet high. The water is cold, the rocks can be slippery! 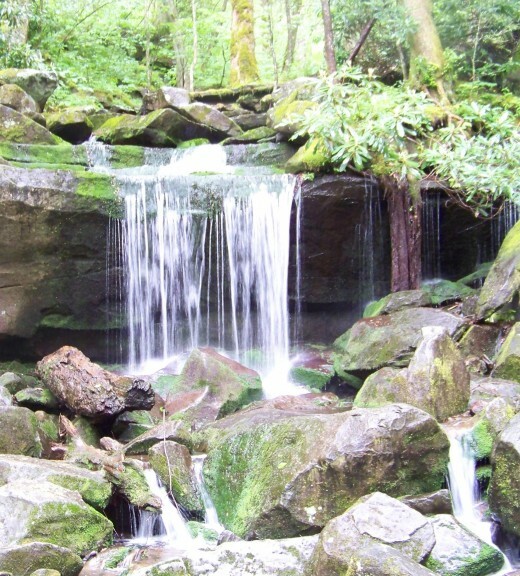 You are maybe 15-20 minutes from Rainbow Falls. The Rainbow Falls is 80 feet high. 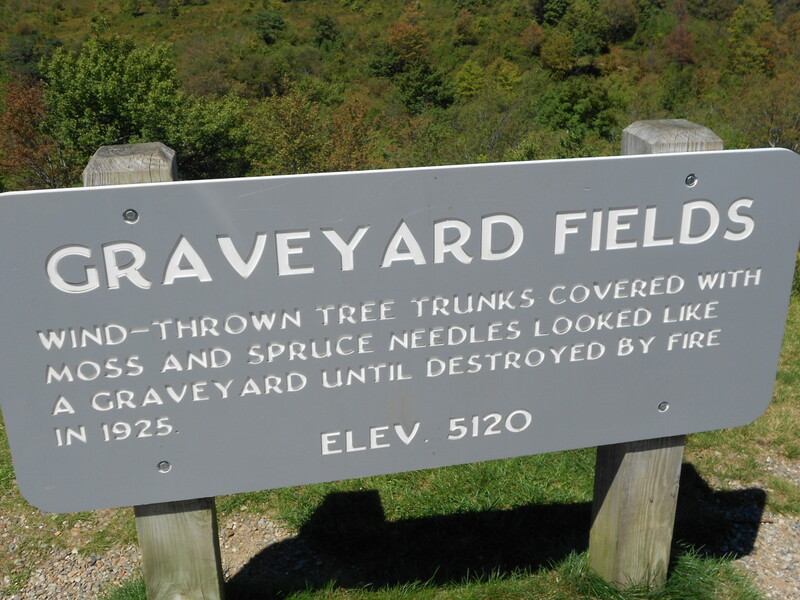 When you reach them, you will have gone up 1685 ft. in elevation from the start of your hike. Another reason why the climb is challenging. If you are lucky to see the falls on a sunny day, you may be lucky enough to see a rainbow in the mist. You return back down the mountain on the same trail. Or, the trail continues another 4.2 miles to the top of Mount LeConte. You can make reservations at the Lodge there to eat and even spend the night. 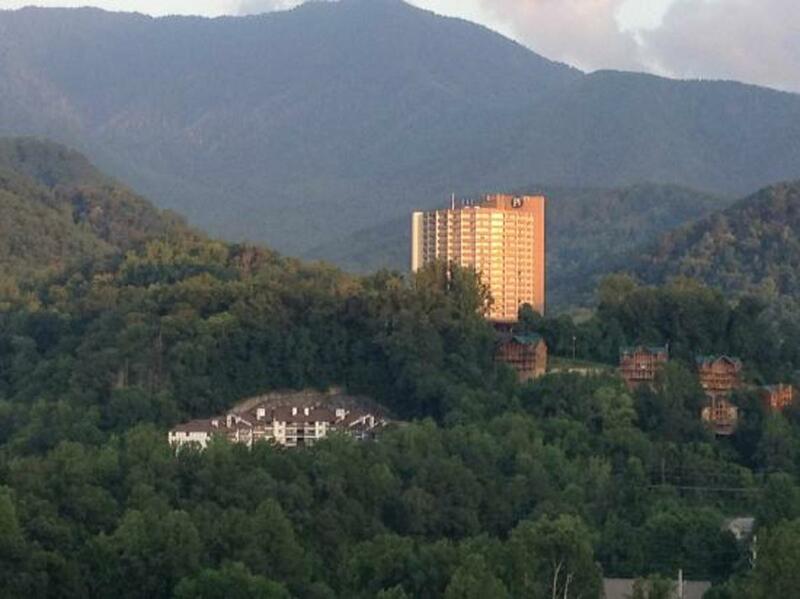 Hopefully, you are fit enough to go hiking in the Great Smoky Mountains often. I would recommend trying the Rainbow Falls Trail. 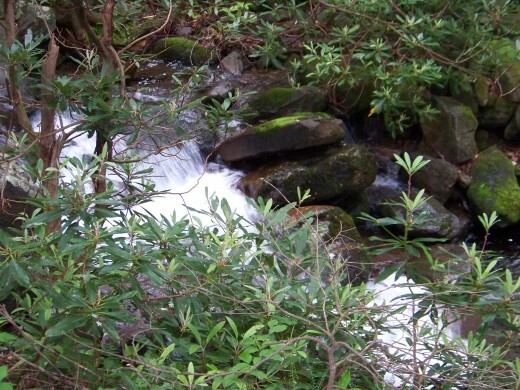 Even if you only walk a 1/4 mile in, you will see some great scenery and hear the LeConte Creek sing to your heart! 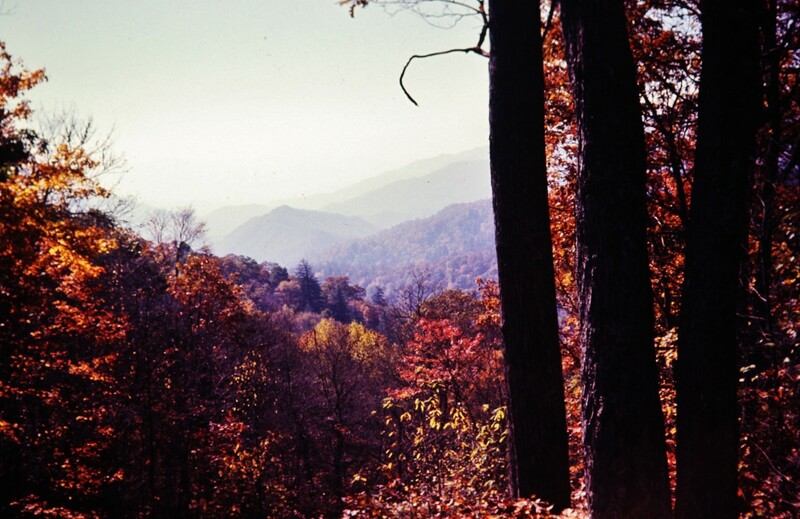 And don't forget - you can hike the Smokies in the fall and winter, too! prasetio30, thanks for the follow. I like the beauty and the variety of the forest, too. 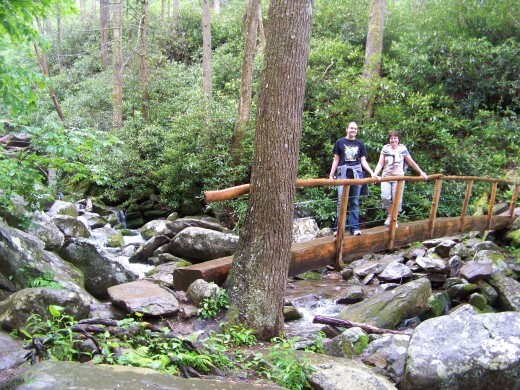 The Great Smoky Mountains National Park has about 150 different hiking trails. backporch -Chimney Tops is being worked on this 2012 summer and is only open on the weekends. Excellent! Great pics too! I love the trail to the Chimney Tops. It can be a stressful climb, but the view is worth it. Nice hub! Picture collection is awesome..
Love your pictures! Great Hub!